Barcelona are reportedly interested in a potential transfer swoop for Manchester United forward Marcus Rashford to replace Luis Suarez. Despite the Uruguay international still being up there with the best attacking players in the world, he is ageing slightly and showing occasional signs of being past the very peak of his powers. It may soon be time for Barcelona to make a change up front and Mundo Deportivo claim Rashford is one player on their agenda at the moment. A number of other big names are mentioned in their report, but Rashford certainly looks this season like finally developing into a well-rounded forward who could be up there with the very finest in Europe. 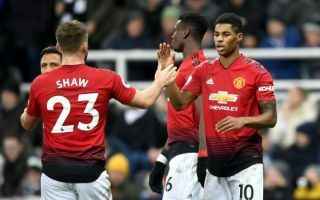 Still only 21 years of age, the England international has become an important player for Man Utd and will surely only continue to improve in the next few years. There’s no doubt a player with his pace, technique and finishing accuracy could be a hit at a big club like Barca, but United will obviously be desperate not to lose a popular home-grown talent to a major Champions League rival.